Your daily scoop of what State of the Union is watching today, August 29, 2014. 1. The terror threat. The British government has raised its terror threat level from "substantial" to "severe," in response to the actions of ISIS in Iraq and Syria. While raising the threat level means a terrorist attack is highly likely, Britain's Home Secretary Theresa May said "there is no intelligence to suggest that an attack is imminent." 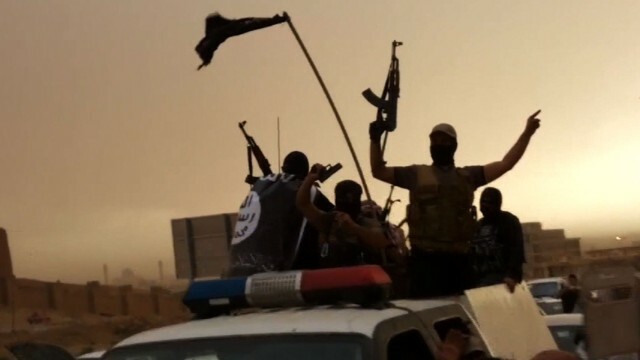 Prime Minister David Cameron said Islamic extremism is the "root cause" of the terrorist threat in the UK, and that ISIS' fight in Syria and Iraq "is not some foreign conflict thousands of miles from home that we can hope to ignore." Cameron added that he would soon announce plans to keep jihadist sympathizers from traveling to Syria and make it easier to seize their passports. 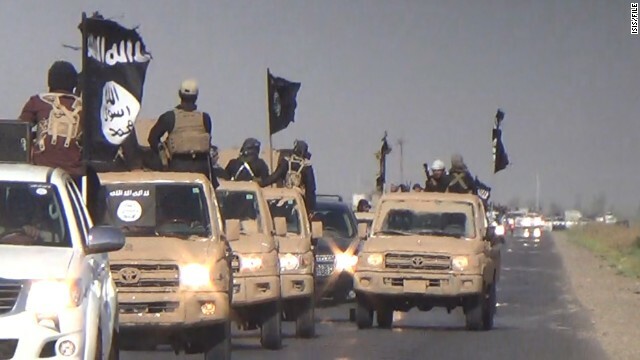 The ISIS fighter who murdered American James Foley is believed to be from Britain, and British authorities estimate that 500 UK nationals have gone to Iraq and Syria to fight alongside Islamic groups. 1. Ukraine says it has been invaded by Russia. A U.S. official says as many as 1,000 Russian troops are in Ukraine to aid pro-Russian rebels. Russia denies that it has launched a military invasion or arming the separatists. In a U.N. Security Council emergency meeting on Ukraine, U.S. Ambassador Samantha Power accused Russia of lying about its actions. “Russia is not listening, instead they have come before this council to say everything but the truth,” Power said. The latest incident comes just two days after Russian President Vladimir Putin and Ukraine's President Petro Poroshenko were photographed shaking hands. Your daily scoop of what State of the Union is watching today, August 27, 2014. 1. Steven Sotloff. The American journalist's mother made a plea to ISIS terrorists holding her son hostage. In a video broadcast on Al Arabiya Network, Shirley Sotloff spoke directly to ISIS leader Abu Bakr al-Baghdadi. "Steven is a journalist who traveled to the Middle East to cover the suffering of Muslims at the hands of tyrants," she said. Steven is a loyal and generous son, brother and grandson. He is an honorable man who has always tried to help the weak." Shirley Sotloff then appealed to al-Baghdadi's self-declared title of caliph of the Islamic State, telling him as caliph, he has the power to grant amnesty to her son. "I ask you to please release my child," she said. Steven Sotloff disappeared while reporting from Syria in August 2013. He was seen in the recent ISIS video showing the beheading of U.S. photojournalist James Foley. The beheading of an American brings the ISIS threat closer to home. But is President Obama doing enough to stop them? Senators Lindsey Graham and Jack Reed on what the U.S. should do next. The militant who killed American James Foley has a British accent, and there are reports that more British Muslims are fighting for ISIS than British forces. We talk to Peter Westmacott, the British Ambassador to the United States about the alarming numbers of Westerners fighting in Iraq and Syria. Missouri Governor Jay Nixon remains under fire for his handling of the situation in Ferguson. He joins us with the latest on the investigation. 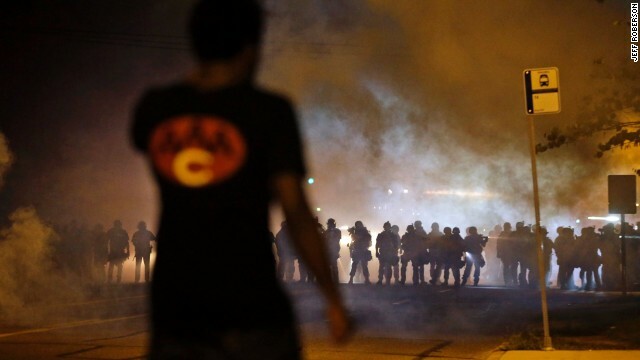 Ferguson’s troubles resonate along the thin blue line. We convene police chiefs from across the country to discuss: Thomas Manger, Chief of Police in Montgomery County Maryland and Vice President of the Police Executive Research Forum, Malik Aziz, Deputy Chief of Police in Dallas and Chair of the National Black Police Association, and James Craig, Chief of Police in Detroit. Watch State of the Union with Candy Crowley, Sunday at 9a and Noon on CNN. 1. 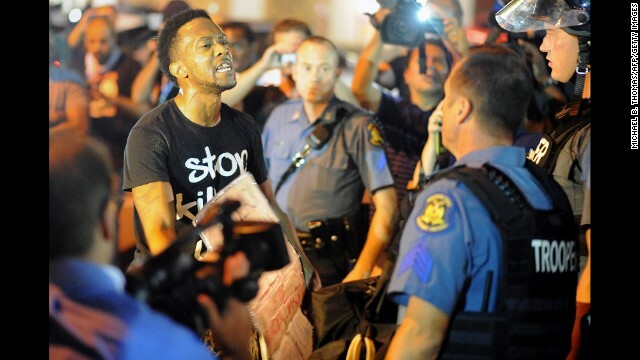 Ferguson face-to-face. Things appear to be calming down in the city. There were fewer protesters in the streets Wednesday night. But there is still a strong demand for answers in the August 9 fatal police shooting of Michael Brown. Attorney General Eric Holder, who visited Ferguson Wednesday, promised a fair, thorough and independent investigation into Brown's shooting by the Justice Department. 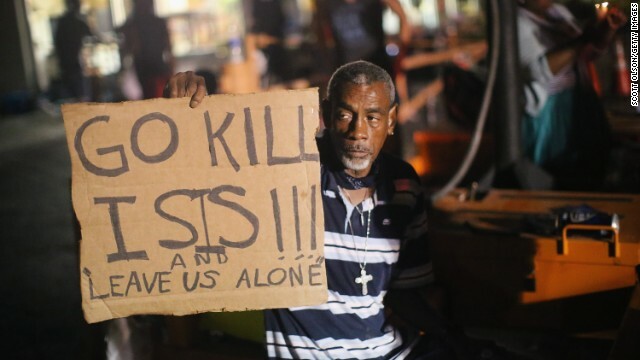 "In my conversations with dozens of people in Ferguson yesterday it was clear that this shooting incident has brought to the surface underlying tensions that have existed for many years. There is a history to these tensions and that history simmers in more communities than just Ferguson," Holder said. Brown's mother Lesley McSpadden, told CNN that meeting with Holder gave her more confidence about the probe into her son's death. "You can read a person. And when you’re looking at them and they’re looking at you in your eyes it puts some trust back there. That you lost. And he did ensure that it will be a fair and thorough investigation," McSpadden said. Your daily scoop of what State of the Union is watching today, August 20, 2014. 1. Ferguson. Attorney General Eric Holder is in the St. Louis suburb that has been the center of unrest since the August 9th fatal police shooting of Michael Brown. Holder is meeting with federal investigators as well as community leaders. His visit follows what was a relatively peaceful night in Ferguson. Meanwhile St. Louis County prosecutor Robert McCulloch said he would begin presenting the Brown case to a grand jury Wednesday, but it will likely be October before the panel has all the evidence. U.S. airstrikes in Iraq. 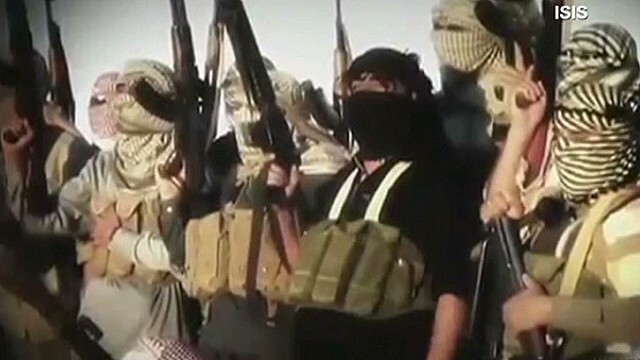 American warplanes have returned to Iraqi airspace targeting the Islamic extremists known as ISIS. President Obama signed off on the mission after the jihadists became a threat to the city of Irbil, where U.S. personnel are stationed, and to keep ISIS from committing genocide against Christians and the Kurdish minority Yadzis. The U.S. military is also airdropping food and water to tens of thousands of starving and thirsty Yadzis who were forced into the mountains by the ISIS onslaught. Sen. John McCain will offer his thoughts on the airstrikes and whether the U.S. should do more Sunday on State of the Union. Israel-Gaza conflict. The fighting between Israel and Hamas has resumed after the two sides couldn't come to an agreement to extend a three-day truce. Israel hit targets in Gaza in retaliation for what it says were rocket attacks by Hamas. Palestinians say the renewed fighting has claimed five lives in Gaza. Israel says rockets fired from Gaza injured one of its civilians and one soldier. 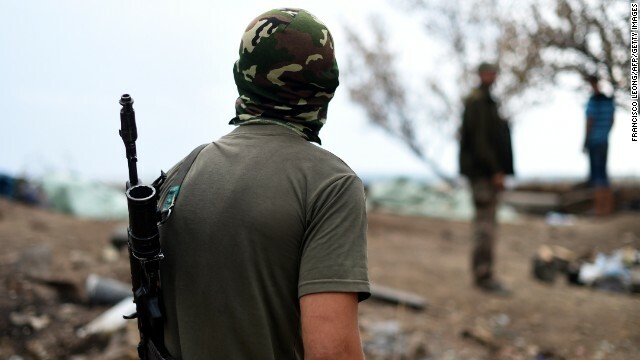 There is no indication if cease-fire talks will be re-started. The Ebola crisis. The World Health Organization is now describing the spread of the Ebola virus as an international health emergency. The WHO says a coordinated global response is needed to curb the crisis. The epicenter of the Ebola outbreak has been West Africa, where over 900 people have died. Two Americans who contracted the virus while in Liberia are being treated at Atlanta's Emory University Hospital. The Tea Party. It lost its last chance to unseat an incumbent Republican senator Thursday, when Tennessee Sen. Lamar Alexander soundly defeated his primary challenger. The Tea Party is 0 for 6 in this year's Republican Senate primaries. The question now is whether Tea Party supporters will back the establishment Republican candidates they railed against. Your daily scoop of what State of the Union is watching today, August 7, 2014. 1. Iraq. 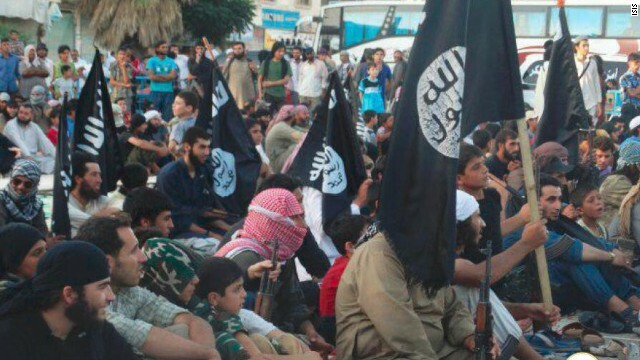 Islamic militants have taken over the country's largest Christian town. 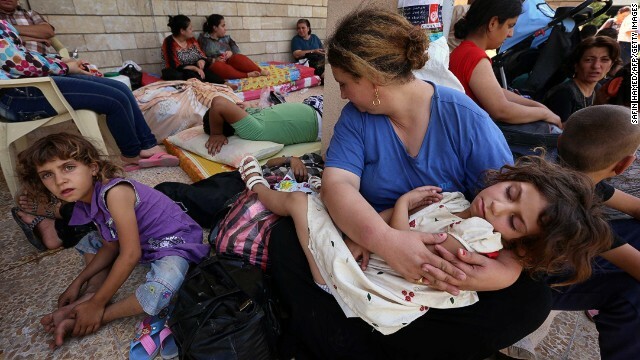 The advance of ISIS has forced thousands of Christian Iraqis and other minorities to flee or face death. 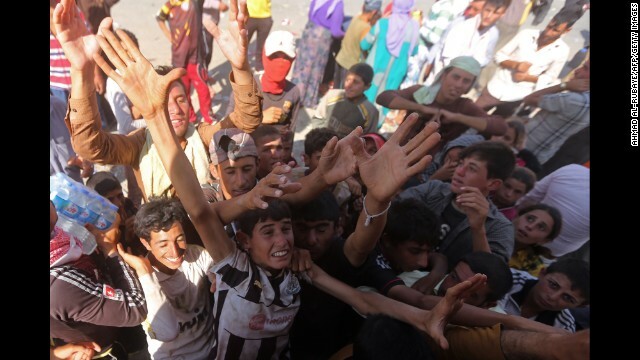 "We're concerned about the welfare of the large community of Iraqi Yazidis who are stranded on Mount Sinjar without food, water, or shelter, and the Iraqi Christians who have been forced to flee from their villages in the region," said White House Press Secretary Josh Earnest. The White House is considering humanitarian air drops as well as airstrikes. In June, the U.S. said it was sending up to 300 military advisers to Iraq to assess conditions there and assist Iraqi forces.